Evaluation of feeding programmes is indispensable to obtain information about how the programmes are functioning with respect to achieving their goals. 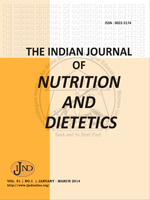 Devadas and Mohan Ram recommend bulit-in evaluation system with appropriate guidelines for the measurement of the outcomes of the ongoing feeding programmes. Systematic evaluation of any feeding programme operating in thousands of centers calls for a standard schedule using which it should be possible to categories the performance of the centers as 'good' , 'very good' or 'poor'. The criteria evolved and the scores arrived for the criteria for the evaluation of the feeding programmes are presented in this paper.